Since last month was so busy and I didn’t get to make a February playlist, I decided to go ahead and make this month’s playlist early! 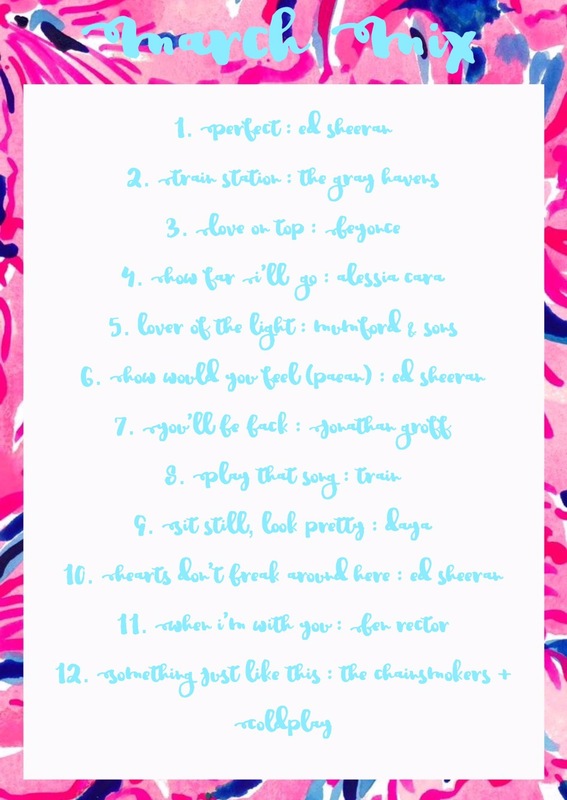 This month’s playlist is full of lots of Ed Sheeran because of his new album being released a few days ago! I tried to control myself and not put the whole album on here!